This 5-stage, solution-based approach is useful in tackling complex problems by understanding the human needs involved. “If I had an hour to solve a problem I’d spend 55 minutes thinking about the problem and 5 minutes thinking about solutions.” That was Albert Einstein dwelling on problem solving. We have problems and solutions seem to exist. But they are not as visible and easy as we’d like them to be. The world has changed over the years. From packing a few hundred thousand transistors over a one-inch square silicon chip, we have progressed to a world that’s run by binary code. Computing has evolved over the years and we are looking at technology for solutions. CXOs today are challenged by real life problems that require them to employ every tool in their arsenal, including the latest that IT has. Every piece of technology presents a solution. Running a competitive business presents new challenges and with them come new approaches to problem solving. Design thinking is one of the many approaches to problem solving that has evolved over the years. Some of the biggest success stories around the world have been crafted by design thinking. Design thinking is a people-centric approach to problem solving. Empathy is the crux of the process. Do you understand all the stakeholders in your business? Be it your boss, your team, your partners or your customers, are you able to connect and empathise with them? Empathy helps you understand the motivations and aspirations of everyone within the ecosystem you interact with. And more than that it’ll help you understand your own role within your organisation and the relationships you should build with all stakeholders. Empathy is the first step that helps you identify your strengths as an organisation, your weaknesses and the problems you need to solve in your journey to success. Empathy will help you gather and analyse the information you need. It will provide a 360° perspective of the business you are in. This will help you come up with a human-centric solution to the problem and think beyond the mundane targets that you pursue at work. For instance, you might be inclined to state your problem as: “I need to roll out this software product fast as my company will have an edge over competitors.” Design thinking will prod you to look at it in a different way. You’d say, “I will launch a product that will help my customers lead a better life, or help their customers lead a better life.” Design thinking is all about looking at the larger goal. It’s about fundamentally changing the way you approach problems. Identifying and defining the problem is half the job done. Empathy has helped you identify the root cause of the problem and nail it. The next step is to come up with ideas by stepping aside from your daily chores and thinking out of the box. This is where your leadership abilities will be put to the test. You will have to involve your team, pick their brains and come up with ideas that will show the way forward. This is the stage for brainstorming and marshalling every human resource at your command to innovate and find a solution. The more the ideas, the merrier it is. Check out the merits and demerits of each idea and finalise on the one that works best given the circumstances. Now that you are ready with your solution, put it to test. 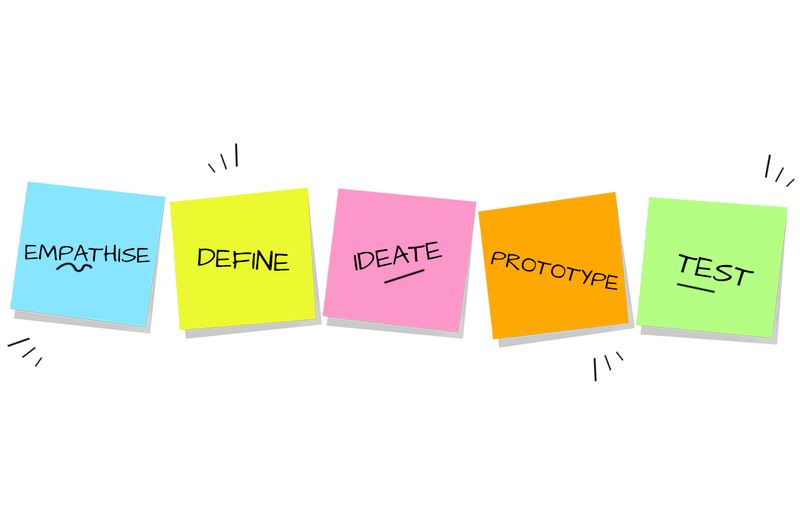 The best way to test your idea is to build a prototype. A prototype will tell you what’s achievable and what isn’t. This is an experimental stage where you and your team are discovering the possibilities and discarding ideas that don’t work. Sharing your prototype with end users will go a long way in getting you the right feedback and further improvise on your solution. This will also give the design team a good idea of the realities faced by the end users on the ground and innovate further to fulfil the needs. Now that you are ready with a prototype, test the solution thoroughly for defects. That will help you either confirm or disregard your assumptions based on what works and what doesn’t. This is a critical phase, as it will determine whether you have a solution or not. Remember, a half-baked solution will only lead to more problems. Testing is the phase that completes the design thinking process, delivering the results you are looking for. On the surface, design thinking appears like a linear process, but it is not so. You’re encouraged to be more flexible and non-linear in your approach. For instance, there could be learnings during the prototype development that could spark a return to the drawing board. Or there might some insights gained during the testing phase that might reveal insights that redefine the problem or prompt you to have another brainstorming session, which may lead to new prototypes. The testing phase could also provide key insights about users, which in turn could help you further empathise to help define and visualise the problem. There was a software quality specialist who once said that if our civil engineers built bridges the way our software engineers wrote code, we would all be floating or sinking in water. Our dependence on IT today calls for products that are robust and reliable. With hyper connectivity becoming the order of the day, we are increasingly dependent on software to get most things done. Design thinking provides an approach that could result in software and systems that are bug free and deliver the functionality we expect.